Electronic Arts’ relationship with Valve has been contentious to say the least. When it’s come to individual projects, the two have never seen quite eye to eye. 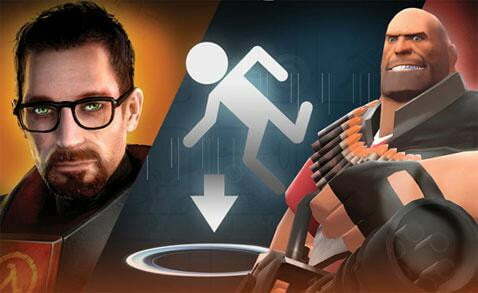 When Electronic Arts published The Orange Box in 2007, collecting Half-Life 2, it’s downloadable episodes, Portal, and Team Fortress 2, Valve blamed EA for the subpar quality of its port to the PlayStation 3. More recently their scuffles have been on a grander scale, with the companies coming to verbal blows over how Valve shares Steam sales revenue and over EA’s Steam competitor Origin. It wouldn’t be a fight at all if Electronic Arts had its way though. It would simply own Valve. A Saturday story on Valve in The New York Times said that EA has entered talks to purchase Valve in the past. Two sources that wished to remain unnamed indicated that while talks never reached the point of EA making a formal bid for the Half-Life company, it was prepared to pay as much as $1 billion. Co-owner and company founder Gabe Newell however said that the likelihood of his fiercely independent company selling to an Electronic Arts, or one of the other major multi-national publishers like Activision or Ubisoft, is about as likely Nintendo selling off the Mario brand. Newell said that Valve would sooner “disintegrate” than sell out to a major publisher. Valve’s certainly attractive to the behemoths of the gaming industry. In addition to the company’s lucrative brands like Counter-Strike, Left 4 Dead, and the upcoming Dota 2, Valve is the industry leader in digital distribution on PC, a market poised to overtake physical game retail in the next generation. Steam already commands a membership of 54 million active users, and growing. Valve is currently valued around $2.5 billion, a figure that’s only going to grow if the company’s new ventures are successful. Forget EA, Valve’s competitors now are the hardware makers of the world. Sony, Microsoft, and even Apple are the companies Valve is interested in taking on next. The company began hiring industrial engineers this month as it looks to begin building PC gaming hardware. As detailed in the Times article, it’s also working on wearable computing gear like gaming goggles. Valve is even getting into more basic computing utilities, selling non-gaming apps through Steam. By the end of this decade, it might be Valve buying EA.